Two cars getting into a crash is scary and dangerous, but a pedestrian accident is even more so. You could be minding your own business, perhaps walking or biking with family or friends, when out of the blue you're hit by a vehicle that is more than three times your size and that weighs roughly 4,000 pounds. The harm incurred can be astronomical. One of the most important things you can do in the aftermath of a pedestrian accident is to file an injury claim. If the driver was at fault--meaning they were proven to be the one negligent--you may be entitled to damages. However, sometimes the driver and the pedestrian could both be at fault. For instance, a driver could have crashed into you while you were illegally jaywalking. Pedestrian claims must be justified. If there was no third-party negligence, your claim will likely be thrown out. Other pedestrian errors can include failing to use a crosswalk, darting in front of vehicles, disrupting the flow of traffic by entering a stream of traffic, or ignoring the walk signal on a crosswalk. In order to make a successful pedestrian injury claim, you must show both negligence and liability. You will want to make sure you report the accident to the police and get the name, address, and insurance details of the other party. It is also helpful to record any imperative information about the accident so you won't forget it late. It is also in your best interest to hire a skilled personal injury attorney who has experience in handling the complex legal aspects of pedestrian accident cases. 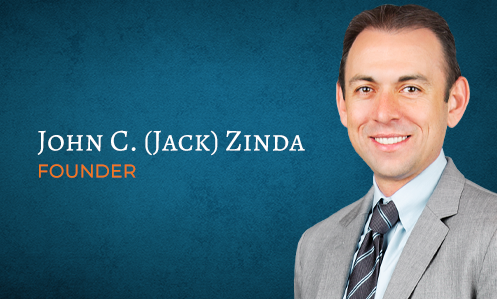 A personal injury attorney from Zinda Law Group can help you with the intricate details of filing a claim and can answer such important questions as how much compensation you could receive and how to reach a quick settlement with an insurance company. If you or a loved one was severely injured in a pedestrian accident, our pedestrian accident lawyers can help you fight for the damages you deserve, such as compensation for medical bills or loss of wages. We can also help you stand up against any third party who might have been negligent and thus culpable for the injuries you sustained. Perhaps a driver was not the one to blame. Often a city can be responsible for an accident if a faulty design of a road or traffic control device contributed to an accident. At other times, a construction crew could fail to provide proper cones, signs and other safety measures. Or perhaps the area in which the accident occurred simply has bad lighting. Regardless of the scenario, pursue justice and compensation today by giving our firm a call. We can provide you with the aggressive representation you are looking for!